They have now banned straws and the equally evil SPORKS! After years in the making, the socialist utopia of Seattle’s ban on plastic straws and eating utensils has become law. The total ban makes the Emerald City the first major metropolitan area in the nation to implement such prohibitions and there are going to be many more coming due to the socialist composition of the Seattle City Council which continues to impose its will on residents. As the only major U.S. city to feature a statue of Soviet tyrant Vladimir I. Lenin, Seattle is a big driver of such grand plans as raising taxes to crush residents to subsidize the homeless and is on the cutting edge of municipalities that are waging total war on the Trump administration with a series of lawsuits that waste the taxpayers’ money to settle political scores. Good Freaking Grief! The Pit of Leftist Insanity gets deeper and…………. But alas, now comes the federal government to tell the inhabitants of Alaska’s interior that, really, they should not be building fires to keep themselves warm during the winter. The New York Timesreports the Environmental Protection Agency could soon declare the Alaskan cities of Fairbanks and North Pole, which have a combined population of about 100,000, in “serious” noncompliance of the Clean Air Act early next year. Like most people in Alaska, the residents of those frozen cities are burning wood to keep themselves warm this winter. Smoke from wood-burning stoves increases small-particle pollution, which settles in low-lying areas and can be breathed in. The EPA thinks this is a big problem. Eight years ago, the agency ruled that wide swaths of the most densely populated parts of the region were in “non-attainment” of federal air quality standards. That prompted state and local authorities to look for ways to cut down on pollution from wood-burning stoves, including the possibility of fining residents who burn wood. After all, a declaration of noncompliance from the EPA would have enormous economic implications for the region, like the loss of federal transportation funding. Of course the reality is that heat is as valuable as food or water. Extreme cold will kill you, but that is reality. central planners do not deal in reality. They deal in idealsim, and idealism is winless when pitted against reality, but that will never dissuade the central planning morons. The EPA, of course, is not alone in its well intended idiocy, pojt put any federal agency, or department, and you can find waste, over regulation, and policies that hurt real people and often make issues the agency is supposed to help worse rather than better. On Tuesday, Trump told the AP that he has whittled down his choices to 5 or 6 names. “I have a list of people that I would like,” Trump revealed in his interview Tuesday. Hillary Clinton’s son-in-law, Marc Mezvinsky is finally shutting down the Greece-focused fund, after losing nearly 90% of its value. Investors were told last month that Eaglevale Hellenic Opportunity would finally be put out of its misery and would shutter. The closure comes as the worst possible time: we are confident that Donald Trump will be quick to work it into his political attack routine. Mr. Chelsea Clinton and his partners began raising money in 2011 from investors for the firm’s flagship fund. Since then, that portfolio has posted uneven performance. A Stanford University graduate, Mr. Mezvinsky worked at Goldman for eight years before leaving to join a private equity firm. He left that job to form Eaglevale with two longtime Goldman partners, Bennett Grau and Mark Mallon. The hedge fund firm is named after a bridge in Central Park. 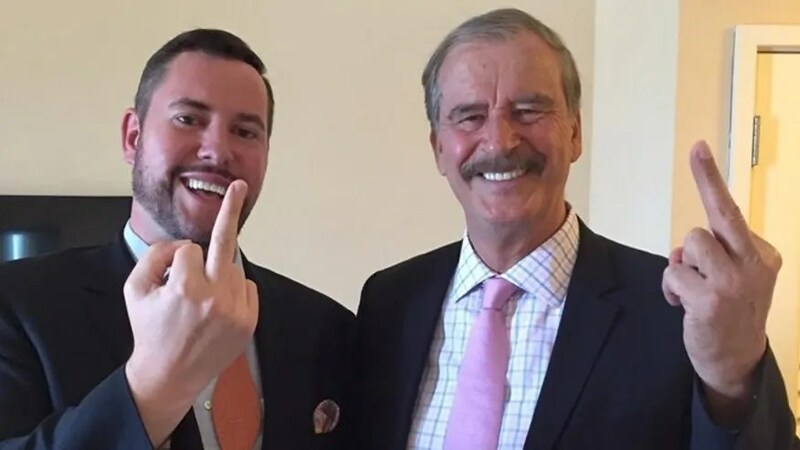 Former Mexican President Vicente Fox doubled down on his criticism of presumptive Republican presidential nominee Donald Trump in a recent interview, comparing him to Latin American dictators and calling him a “hated gringo” while also giving him the middle finger. Fox made the obscene gesture to Trump after appearing on the Kickass Politics podcast with host Ben Mathis. The interview was pre-recorded and released Tuesday. When Wyoming rancher Andy Johnson decided to create a stock pond for horses and cattle on his 8-acre property, he did what any conscientious landowner would do. He got permits from both the state and local government before moving any dirt. What he didn’t count on was a power-mad Environmental Protection Agency, which in January 2014 said Johnson’s pond violated the Clean Water Act – even though the CWA exempts stock ponds – told him to get rid of it, and threatened him with a $37,500 fine for every day he delayed. Rather than cave to federal thuggery, Johnson refused the order, and then sued the EPA with the help of the invaluable Pacific Legal Foundation. Environmental experts he commissioned said the pond was exempt, and served as a habitat for migratory birds, fish and wildlife. The UK’s Home Office admitted defeat in a 10-year legal battle to deport six al-Qaeda linked terrorism suspects to Algeria. The Special Immigration Appeals Commission (SIAC) ruled in April that to deport the terror suspects would violate their human rights. This week the Home Office decided not to appeal, giving up on the case and effectively granting the men the right to stay in the UK. Jason Riley has now joined the long and distinguished list of people invited – and then disinvited – to give a talk on a college campus, in this case Virginia Tech. Mr. Riley is a Senior Fellow at the Manhattan Institute, a columnist for the Wall Street Journal and, perhaps most relevantly, author of a very insightful book titled Please Stop Helping Us: How Liberals Make It Harder for Blacks to Succeed. In short, Jason Riley’s views on race are different from the views that prevail on most college campuses. At one time, 50 years ago or earlier, exposing students to a different viewpoint was considered to be a valuable part of their education. But that was before academia – and the education system in general – became virtually a monopoly of the political left. 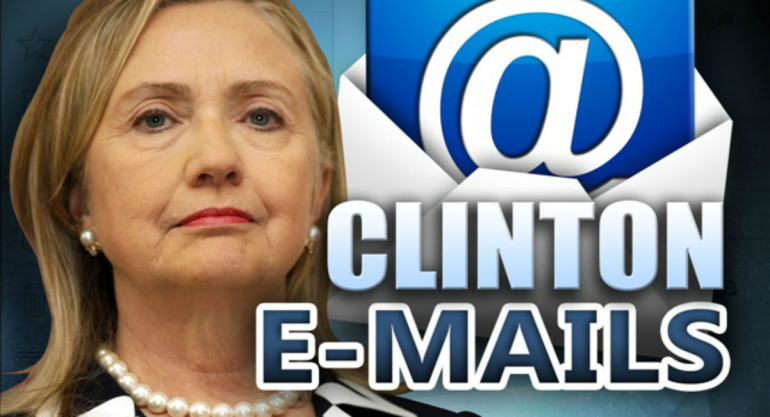 The Kremlin is debating whether to release the 20,000 emails they have hacked off of Hillary Clinton’s server. Greater Manchester Police came under fire on social media following the staged training exercise with people demanding to know why it had been linked to Islam. Police chiefs have apologised after a ‘suicide bomber’ shouted ‘Allahu Akbar’ just before a fake terrorist attack at the Trafford Centre . GMP came under fire on social media following the staged training exercise with people demanding to know why it had been linked to Islam. ‘Allahu Akbar’ is Arabic for ‘God is Greater. Assistant Chief Constable Garry Shewan responded personally to the complaints on Twitter, saying the use of the phrase was unacceptable and apologised to anyone who was offended. Astoria residents packed into the Variety Boys & Girls Club on Monday night to voice their concerns about Mayor de Blasio’s proposed $2.5 billion Brooklyn Queens Connector (BQX). 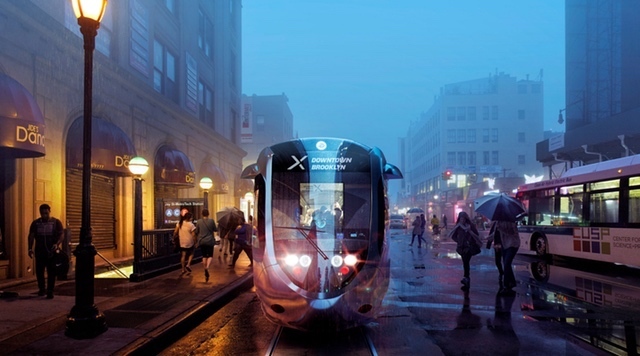 Many argued that the streetcar, which the mayor has called a “noble experiment” in outer-borough transit, would burden low and middle-income taxpayers while serving real estate interests and high-rise residents along the Queens waterfront. Well-connected donors are doing anything they can to stop Donald Trump. That includes funding Hillary Clinton’s presidential campaign, even if you’re a conservative mega-donor. Take for instance, billionaire James Simons who founded the hedge fund Renaissance Technologies. Simons, through Renaissance Technologies, donated over $13 million to Sen. Ted Cruz’s failed presidential run and is now pouring in millions to Clinton’s campaign, according to the Observer. Already, Renaissance Technologies has donated $2 million to Clinton’s campaign. And Simons’ other company, Euclidean Capital, has given Clinton $7 million thus far. To say the least, it’s going to be an interesting couple of months for Hillary Clinton. As the FBI probe into Clinton’s handling of classified information makes its way to Clinton herself, the Clinton camp will also need be focused on trying to stave off attacks by GOP presidential nominee Donald Trump. More on the FBI probe in a moment, but first, one of the key areas that Trump will inevitably be focused on is trying to frame Hillary Clinton as just another typical insider who despite the rhetoric, is as cozy with Wall Street as any other bought and paid for politician. To that end, the Republicans are not letting go of the fact that Hillary has yet to release any transcripts of her speeches given to Wall Street. Bill Nye “the science guy” says in a video interview released Thursday that he is open to the idea of jailing those who deviate from the climate change consensus. Mr. Nye’s comments come with a coalition of liberal attorneys general pursuing companies that challenge the consensus of catastrophic climate change. Critics fear the campaign could chill research and free speech. Virgin Islands Attorney General Claude E. Walker raised concerns about a government crackdown on dissent when he issued a subpoena last week to the free market Competitive Enterprise Institute for its climate-related research and documents. “The extreme doubt about climate change people – without going too far afield here – are leaving the world worse than they found it because they are keeping us from getting to work. They are holding us back,” Mr. Nye said in a post on Climate Depot, a project of the free market, nonprofit Committee for a Constructive Tomorrow. 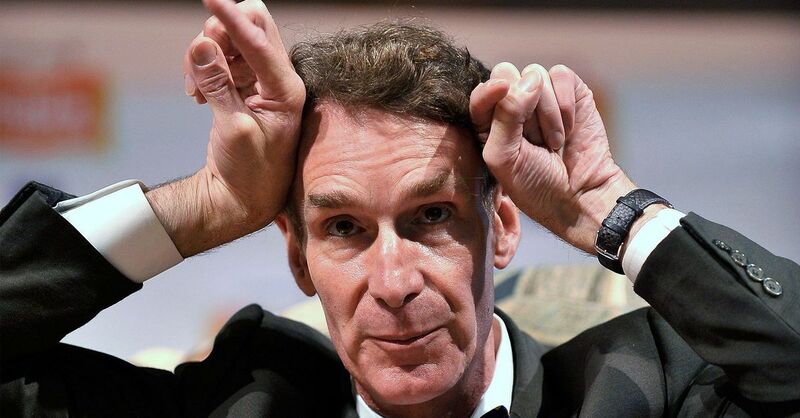 Mr. Morano interviewed the star of the 1993-98 PBS television show “Bill Nye the Science Guy” in New York in advance of the May 2 theatrical release of “Climate Hustle,” which takes a skeptical look at predictions of climate change disasters. The film, along with a panel discussion, was scheduled for a screening Thursday in the House Science, Space and Technology Committee.